It’s time for the playoffs once again! Here are my quick predictions on today’s games. The Chiefs beat the Texans in Week 1. 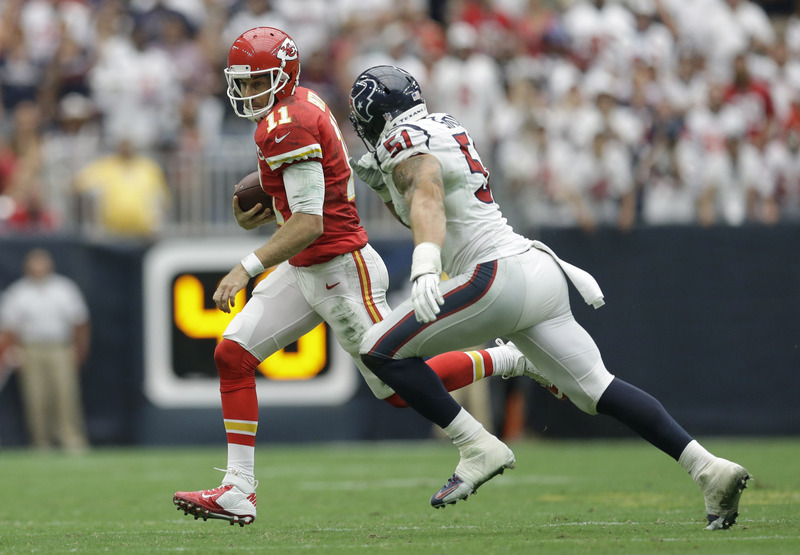 The Kansas City Chiefs defeated the Houston Texans in Week 1 of the NFL season. The two teams are very different entering their matchup on Saturday. The Chiefs are riding this amazing winning streak, having won their last 10 games. The offense isn’t mind blowing but the team is not making mistakes and that comes from the leadership of Alex Smith. The offense isn’t making big plays but are consistently moving up and down the field. This is the time for the receivers to step up big time. Houston however could spoil all of that with their strong defense. Once again, the attention will be on J.J. Watt and to see how much pressure he can put on the offensive line. That should focus the attention of the game to Brian Hoyer and how he can run the Texans offense. The running game will be huge for the Texans but look for DeAndre Hopkins to be a huge factor in the passing game for Houston. 49ers are going throwback for Sunday’s game against the Bengals — will that include old school uniforms? As part of the NFL’s 50th Super Bowl in February, the league has celebrated it by making its logo gold. They’ve also had all teams paint the 50-yard marker gold. Before the season started, the league emphasized certain regular season matchups that so happen to be Super Bowl rematches. On Sunday, the San Francisco 49ers are set to face the Cincinnati Bengals. The 49ers faced the Bengals in Super Bowl XVI and Super Bowl XXIII, winning both games. To celebrate their Super Bowl triumph, the 49ers are transforming their field to mimic the field design they had during their glory years at Candlestick Park. The question now is whether or not the 49ers will go with a throwback uniform to go with the occasion. Who will be smiling at the end of this game? I may super biased still, but I don’t think much of the Bengals. 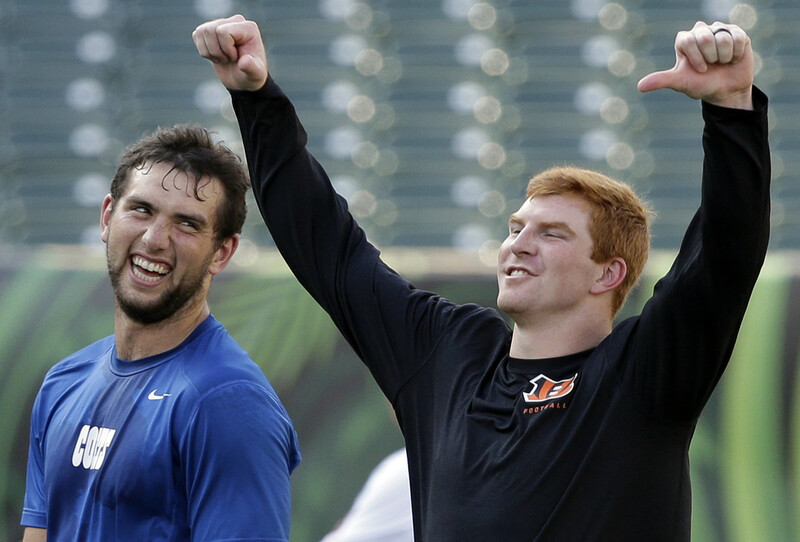 I don’t think that Andy Dalton is the kind of quarterback that can take the team far. For so long I have felt that his game is so inconsistent. There are games where his passing is so atrocious that it hurts the team. Then there are times that he will have great games and I don’t know who he is. As for this game, I think he might put together a decent game but it won’t be enough. First of all, we won’t see A.J. Green so that hurts the passing game tremendously. Secondly, the Colts offense is still pretty strong and even though their running game hasn’t been much, Andrew Luck’s arm will make this a high-scoring affair. The offense isn’t superb by any means, but these two match up really well and it could come down to who has the ball last. The Bengals won their first meeting last month. What intrigues me about this rematch is that both teams are slightly different than the last time they met. Andy Dalton, while having a fantastic season, still has his inconsistencies with ball security. 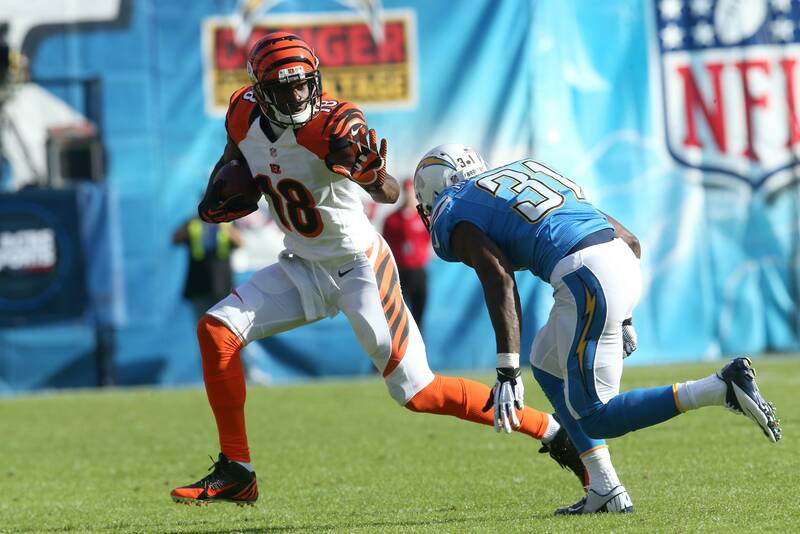 He is prone to throw interceptions and that is an issue that he has to fix or else it could cost the Bengals. Philip Rivers has started to play better and the emergence of Keenan Allen has really helped the passing game grow. It could be a battle between Allen and A.J. Green in terms of who will have the bigger impact in stretching the field. The key factor in this game might come down to how the defense can stop the run. Ryan Mathews has emerged as a running back that can change the pace of the game and the Bengals feature two solid backs in BenJarvus Green-Ellis and Gio Bernard. Whichever defense can hold the running game in check should win this. It’s time for the playoffs! With that said, here are my quick predictions on today’s games. A rematch of last year’s playoffs. This is a very unique matchup because we have the Bengals coming in hot (7-1 in last 8 games) and the Texans not so hot (1-3 in last 4 games). What I like when it comes to playoff games are the underdog teams that are coming in on a hot streak. With that said, I like the Bengals and what they bring to the table. They have one of the best wideouts in the game along with an up and coming quarterback that is starting to find his own niche in the league. They provide a tough attitude and a strong approach to the game. However, the Texans are a very good team despite stumbling into the playoffs. Their defense is very solid with a pass rushing monster in J.J. Watt leading the charge. Offensively, if Matt Schaub can get hot early, especially with play actions, that should open up the running game for Arian Foster.